Someone needs to start some vs. threads. Still waiting for an arena to crop up somewhere. After Torpal vs. Dockolong I propose Torpal vs. Larg Worm. Or Dockolong vs. the worm, whoever wins the first match. Ok for all those who wish to have their creatures fight another creature come on in and role play it out. If you wish to fight post a general picture of your creature, name, stats etc. Then amoungest yourselves ask one another to fight. So like the Torpal posts his info, then the Sockalong posts and say i wish to fight the Torpal and then the battle starts. Weapons: Grasper on the tail and bitting teeth. Tools: Grasper can manipulate objects. nooooo!! i was going to make a topic exactly like this! who dares challenge the Torpal? I'll give it a go, as long as we're talking underwater fighting here. Seriously though I think it's better off you fight other creatures, because fighting the Torpal is a waste of time. Oooooo! I have the perfect song just to fit the mood. Muaa ha ha ha! Are we going to have HP or something? LOL. This thread is clearly biased against creatures with no natural weapons. Mysterious briefcases that dont open are allowed right? Lol, yes... if you're Gman. Tools: knifes and poisons from plants in their rainforest. Its however you guys figure out what the rules are. I just thought the thread was needed, so i posted it. Walk slightly faster than you normally do? Hey! Whenever we have a matched pair to fight, I'll make a Flash toon to summarize the battle once it's over. I'll give it that GB feel, ha ha! I think the format of this battle should be explained. If your creature has a weapon, he may use only one. Only items provided by the arena can be used which includes healing tonics and powerups. (Someone come up with a list of items you may only use.) As far as playing out who wins fairly, I propose a coin toss. The two combatants post heads or tails here, a designated judge will flip a coin and whatever it is, they will PM them both privately who will win, and then the two contestants will play it out here on this thread eventually revealing who won. Sounds like a good deal? Oh wow, someone actually did it. I was just joking, mostly. Should be an interesting thread though if it catches on. 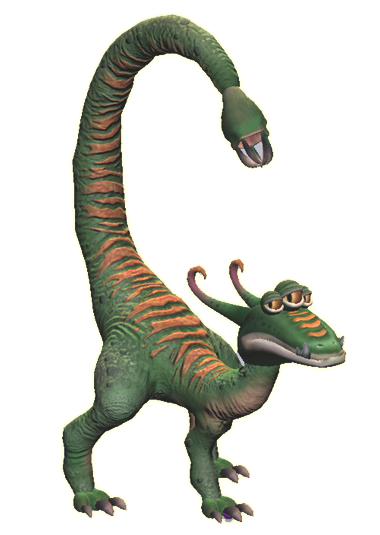 someone should be like a refere so people don't go like"Willosaurus uses "killing, kill kill move" OMG your creature is dead!!!11!oneone!" maybe the next person to post says if your attack hits the other persons creature or not(but it can't be the person attacking or receiving the attack)?